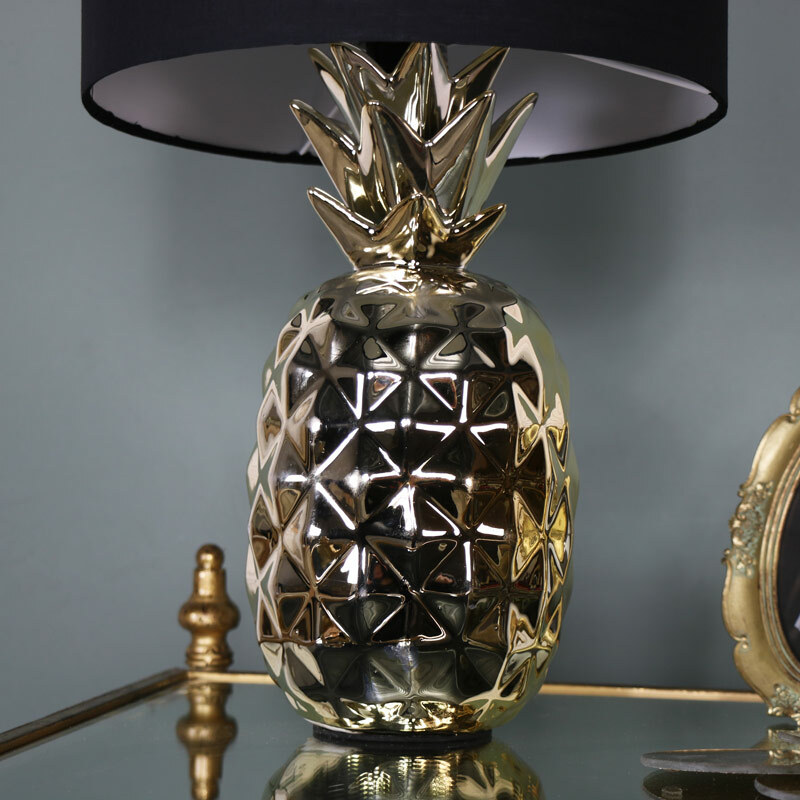 Get tropical with this fun and funky table lamp in the shape of a golden pineapple. This will add a Caribbean theme to your home. Perfect for adding a little light to your living room, bedroom or hallway. 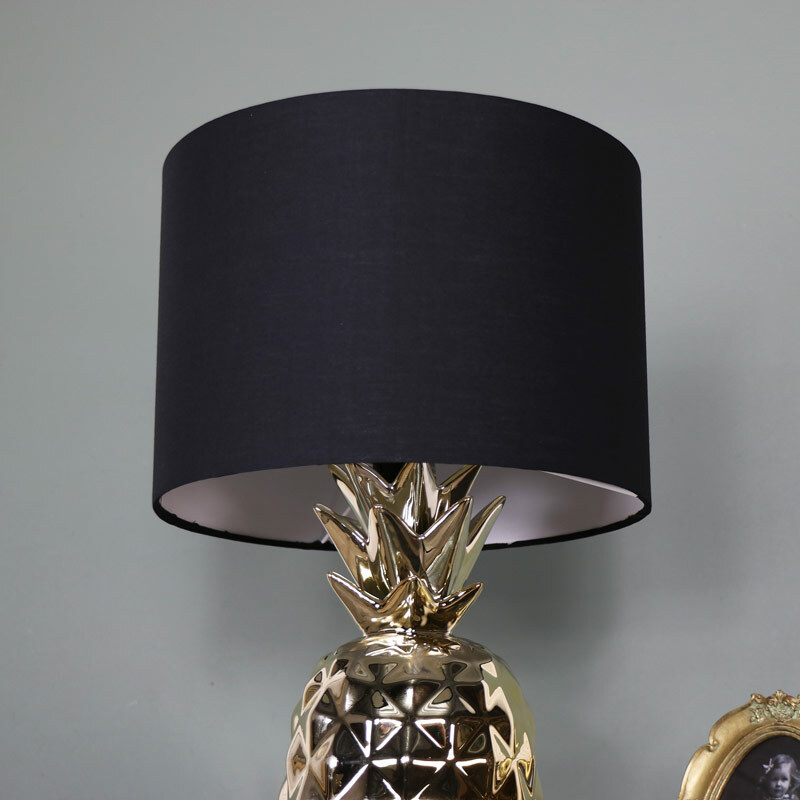 With a shiny gold pineapple shape base and black cotton shade. Great for adding some soft lighting to your living or bedroom. 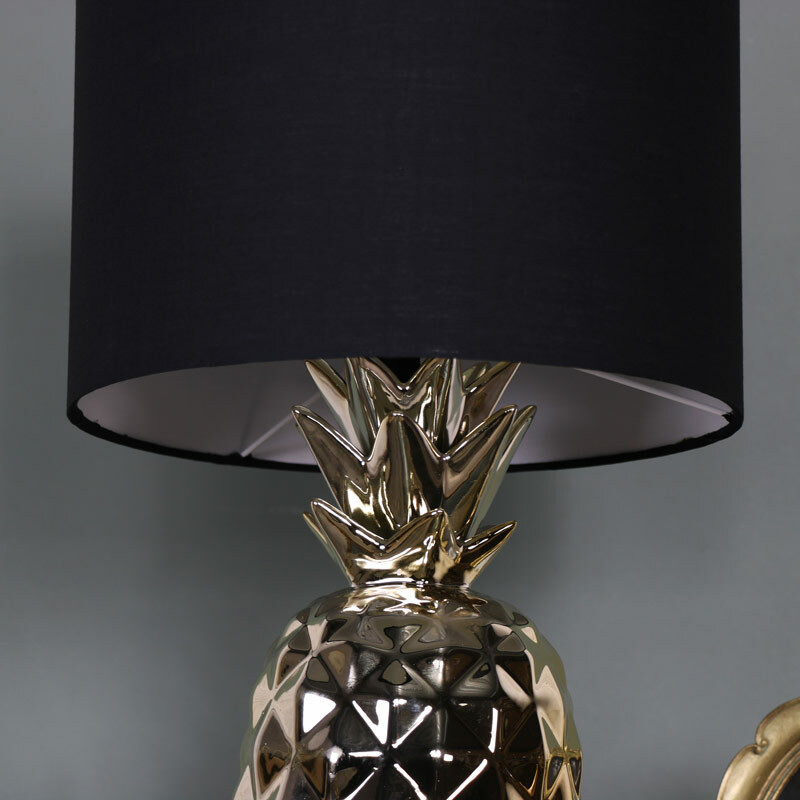 Pretty and practical all in one fabulous table lamp. 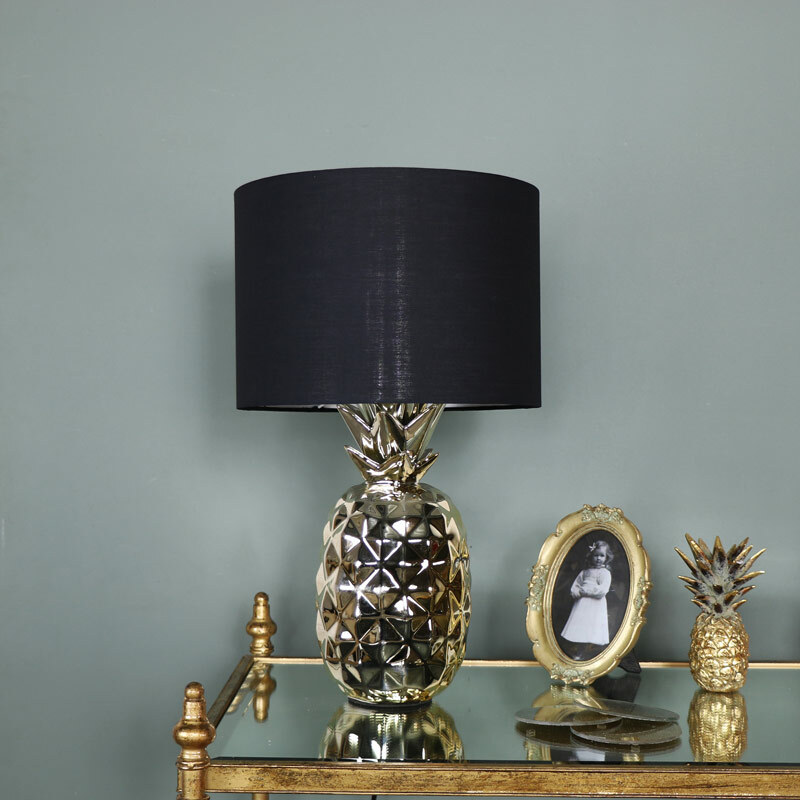 The lamp base is made from resin in a high shine gold finish with a black cotton shade. The lamp base itself measures 35cm high and 15cm diameter with the shade measuring 20.2cm high and 29.5cm diameter. A handy inline swith for ease of use and takes 220-240V E27, max 40 watt bulb. A great way to add some more light to your room in fun and funky style.